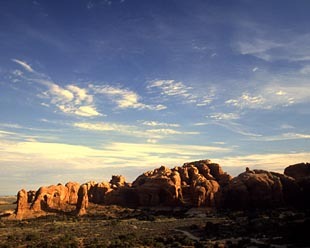 Arches National Park is in south east of Utah USA. 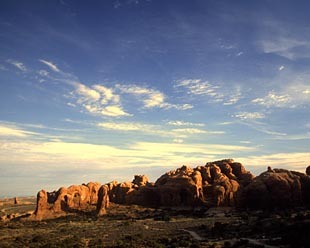 There are many arches and some interesting trails. 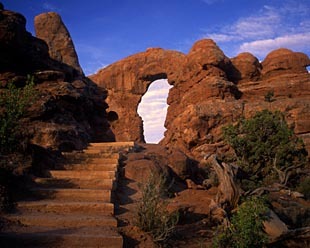 I was very impressed by the strange scene of Arches. 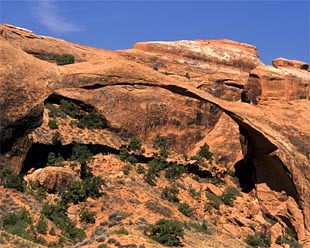 This arch is named 'Turret Arch'. 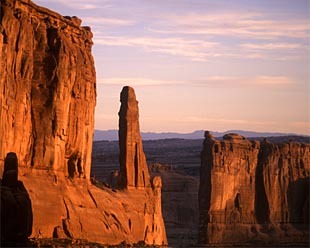 The big rock left to the window must be a cannon. 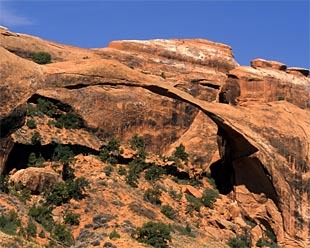 This is 'Landscape Arch' that is the longest arch in the world. 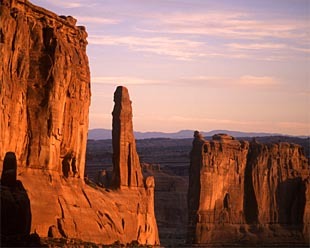 The arch is width 89m, height 32m. 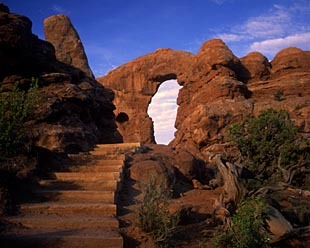 However in the future, this arch will be also broken by the nature erosion.